How About a Golf School Vacation? 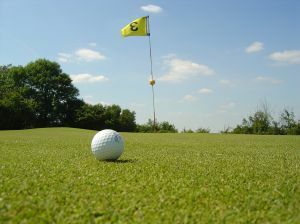 Have you ever considered a golf school vacation as a way of combining your vacation with a means of improving your game? Has your game been letting you down lately, or have you finished the season on a bit of a low, feeling a bit down with your rising scores and reducing length? How about a winter vacation down south while your own club is closed for the winter? Some courses are open all year round, especially the desert courses in Nevada and Arizona. A vacation in Scottsdale or Phoenix might be an ideal way for you to get some of these bad habits sorted out, or have your swing properly analyzed and corrected, before the spring comes around again. Just imaging the look on your foursome’s faces as you hammer that ball 300 yards down the fairway, as straight as a die! There are many golf schools around that can give you a week’s coaching, and most are equipped with the latest video imaging techniques with biometric swing analysis that can diagnose exactly where you are going wrong. The right coaching can resolve your swing problem and add yards to your length. You can spend all winter hacking balls down a driving range without improving your game one iota if you don’t know exactly what your problem is. What you need is a professional golf coach to give your game a check over and find out what parts of your game need improved. That takes professional equipment, and slow motion video replay of your swing can detect what is wrong with your swing mechanics. You might also need some specialized fitness training. Sometimes all this is needed to get your game back to where it should be is some proper golf-specific strength and stretching training. It’s no good just pumping iron in gym because that won’t help your golf game. You need to exercise all the muscles you use when swinging a golf club, and that involves specialized exercises. You have several options in golf school vacations. You and your golf buddies can take a week in Vegas, getting your golf problems sorted out in the day, and enjoying some time on the tables at night. Or even take in a show or two. There are some excellent golf schools in and around Las Vegas that also offer accommodation in of the Vegas hotels. You have Bird schools and Butch Harmon among lots of others, each offering great five star accommodation. How about fitting in some winter sports and heading off to the David Leadbetter Academy in Vail, Colorado – more popular than Aspen, but there are also golf schools in Aspen if you prefer. Mix your golf coaching with some skiing or snowboarding. However, if you like it hot, try one of the desert courses in Arizona. That might be a unique experience for you, especially if you get your swing sorted out as part of the deal. If you have the family with you, Florida or the Carolina Grand Strand will keep the kids happy, while you and your partner get some coaching, or perhaps he or she wants to take advantage of the beach or fit in some shopping. Myrtle Beach is fabulous for both. Whatever you choose, whether it is a full two week vacation with continuous coaching, or just a weekend away for some professional swing analysis, make sure you know what you want, and set your self a budget. The best golf schools have one on one coaching, or last two pupils per teacher. Some run to four or more, but you get what you pay for. Check out the golf course, and try to negotiate some free rounds after the coaching. If you can arrange to get your coaching off-season, it might be a lot less expensive, and the resorts are usually a lot cheaper then too. Never accept the price offered, but ask what discounts are available. You can often get something knocked off the price. Make sure that the vacation suits everybody and you know exactly what you are getting. There is nothing worse than your partner and children hanging around all day with nothing to do, stuck in a poor golf resort with nothing around for miles. Whatever you choose, it is going to be worth it as you step up to that first tee after the winter break, pull out your driver and know that you are going to amaze your buddies with your new form. They will be green with envy at that 30 yards you have improved by – and all without a hint of that slice that was plaguing you all last season.